Jaded Blossom: Jaded Blossom Guest Designer: Beckie! This is so beautiful! Loved seeing your creations this month!!! 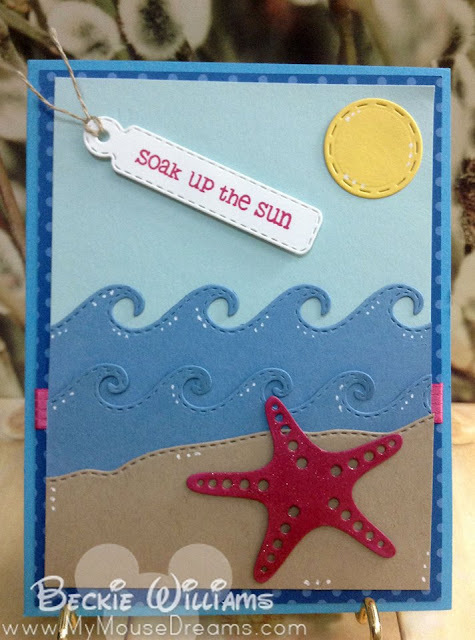 Great card-- love the pop of color with the sun and ribbon peaking out. Great card! Enjoyed seeing your projects this month! Loved them all!! So pretty! Love the scene you created. Super cute card, Beckie!!! Loved your projects this month!! !